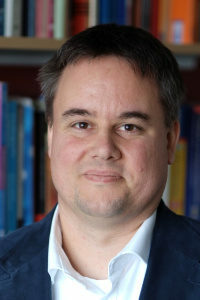 Peter Uhrig is currently on leave from FAU to work as an interim professor at the University of Osnabrück. Please refer to his personal website for up-to-date information. Uhrig, P., Evert, S., & Proisl, T. (2018). Collocation Candidate Extraction from Dependency-Annotated Corpora: Exploring Differences across Parsers and Dependency Annotation Schemes. In Cantos-Gómez P, Almela-Sánchez M (Eds. ), Lexical Collocation Analysis: Advances and Applications. (pp. 111–140). Cham: Springer International Publishing. Uhrig, P., & Götz-Votteler, K. (2011). Collocational behaviour of different types of text. In Herbst Thomas, Faulhaber Susen, Uhrig Peter (Eds. ), The phraseological view of language : a tribute to John Sinclair (pp. 229-242). Berlin: De Gruyter Mouton. Evert, S., Uhrig, P., Bartsch, S., & Proisl, T. (2017). E-VIEW-Alation – a Large-Scale Evaluation Study of Association Measures for Collocation Identification. In Iztok K, Carole T, Miloš J, Jelena K, Simon K, and Vít B (Eds. ), Electronic Lexicography in the 21st Century. Proceedings of the eLex 2017 Conference (pp. 531–549). Leiden, NL: Brno: Lexical Computing. Proisl, T., & Uhrig, P. (2016). SoMaJo: State-of-the-art tokenization for German web and social media texts. In Cook P, Evert S, Schäfer R, Stemle E (Eds. ), Proceedings of the 10th Web as Corpus Workshop (WAC-X) and the EmpiriST Shared Task (pp. 57-62). Berlin, DE: Berlin: Association for Computational Linguistics (ACL).